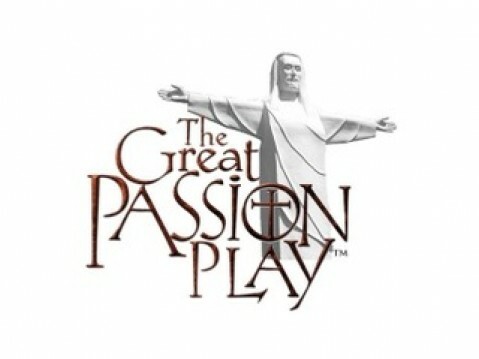 The Great Passion Play in Eureka Springs, Arkansas is “America’s #1 Attended Outdoor Drama” according to the Institute of Outdoor Theater and Drama of East Carolina University at Chapel Hill. Eureka Springs is just the place to relive The Greatest Story Ever Told! The Play is not the only thing to see and do though. The Christ of the Ozarks, the Holy Land Tour, Moses Tabernacle in the Wilderness, a section of the Berlin Wall, the Church in the Grove, the Bible Museum, and the Sacred Arts Museum are also on the grounds! Staged in an outdoor amphitheater, the multi-level set, special lighting and sound effects, live animals, and a cast of 170 Biblically costumed actors come together to create the thrilling epic drama of Jesus Christ’s last days on earth. 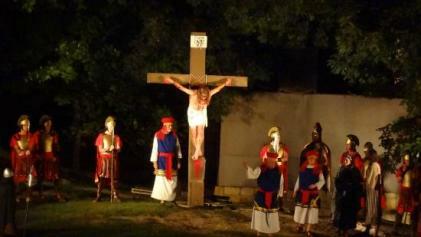 This Christian attraction has been performed since 1968 in the beautiful Ozark Mountains in Eureka Springs, Arkansas. There are many places to stay in Eureka Springs and fun things to do! See the Easter story come to life from May 2 through October 25 in over 85 performances this season. This experience is just the one for you, your family, group, or church!